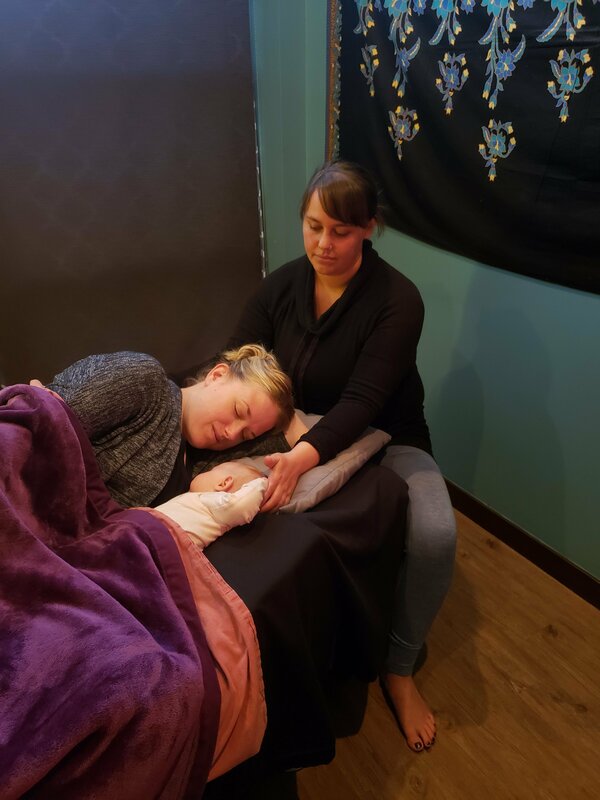 Craniosacral Therapy​ (CST) is a light touch therapy that is based around the subtle movements of cerebrospinal fluid in the Central Nervous System (brain and spinal cord). This movement can be followed by a Craniosacral Therapist to find restrictions or patterns of disruption in an infant's dural-meningeal system. This supports health by facilitating the body's innate intelligence in its capacity to promote a thriving expression of life. Trouble calming, soothing, or settling. We also offer Mama-Baby Combo CST treatments for infants under 6 months. What does a Craniosacral Treatment look like for an infant? At the end of the treatment, we will spend some time reviewing the findings and going over home care or exercises. At AltaVie, we have 4 CST practitioners. RMT Kristin Jones focuses her practice entirely on Biodynamic Craniosacral Therapy. RMT Jen Cuddington is an experienced Upledger Craniosacral Therapist who combines CST with other manual therapy techniques. 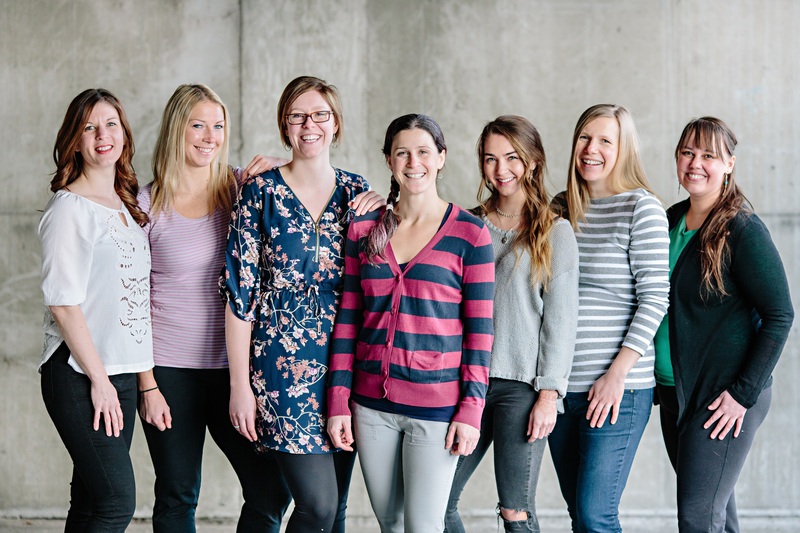 Chiropractors Dr Amanda Stevens and Dr Anna Marie Gierach incorporate CST within their care for infants and children.